As long as your furnace is working good, you don’t need to worry about it, right? Wrong. You should be getting a tune-up for your furnace at least once a year. 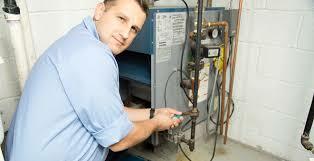 Getting routine maintenance done on your furnace will offer you various benefits that will pay off in the long run. It is a solid investment to take the time to get a routine check of your furnace each year. Here’s a look at three of the top reasons why furnace maintenance is well worth it. When you get routine maintenance done on your furnace, you have a record created of everything that has been done with it and what may have gone wrong with it over time. It allows you to know what may need attention next, so you can better plan for future needs. In addition, the record is great if you go to sell your home. Buyers will like that they aren’t getting an unknown when it comes to the furnace. It is incredibly expensive to replace and repair a faulty furnace, so going into a purchase knowing that is something that won’t need to be worried about is a great selling point. When a furnace breaks down, it usually does so during a high demand time. This means it can take longer to get a service technician from Air Control furnace repair in to make repairs because a lot of other people are trying to schedule repairs, too. If you get a tune up before the season starts, you can catch and fix any issues at that time. Plus, you will be able to avoid a furnace break down when it is cold outside, which will save you a lot of hassle. In addition to making sure you catch issues early and avoiding a breakdown when the weather turns cold, regular maintenance of your furnace also keeps it clean. During a routine cleaning, the furnace is carefully cleaned of all dust and dirt, which helps it to work more efficiently. It also prevents build-up that can cause excessive wear to parts, reducing the frequency of replacing parts and making repairs. Perhaps the most beneficial reason to have your furnace maintained on a regular basis is for safety. Issues can be caught before they pose a risk to you and your family. Risk of fire and carbon monoxide leaks can be very serious, and while they are rare, having routine maintenance done will go a long way towards making sure they are things you never have to worry about. As you can see, scheduling your furnace for a regular tune up is a great idea. It will help you to be more aware of future needs and create a record of everything you have had done. It ensures that your furnace is in good shape and ready to handle all the demands put upon it during the winter season. Finally, it helps you to prevent safety risks and catch issues that could lead to safety problems before these issues ever occur. In the end, you get a furnace that lasts longer and runs better simply by doing some preventative maintenance.